Here, I am going to share my first android blog on Google TV.This blog helps you in making Android Google TV app. 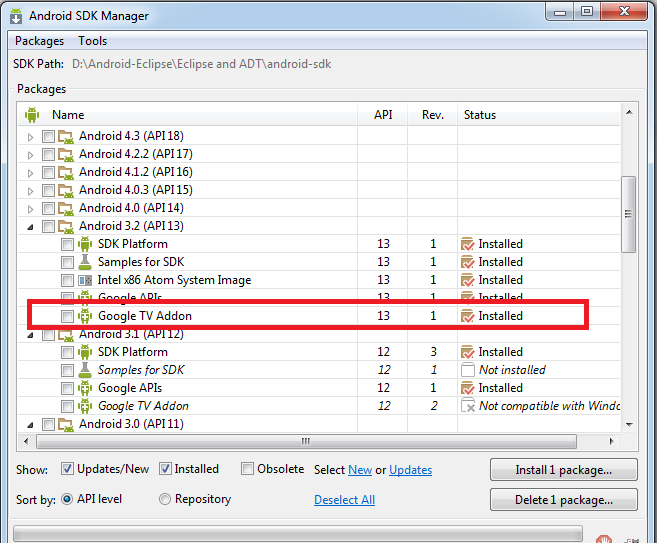 The Google TV developers released a Google TV add-on for the Android SDK which helps android developer in creating the Android Google TV Application easily. 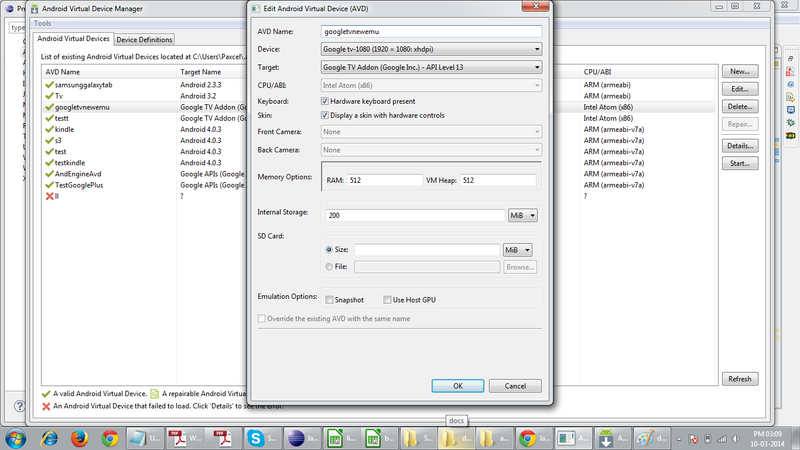 available in under Android 2.3.3 and Android 3.2. 3. 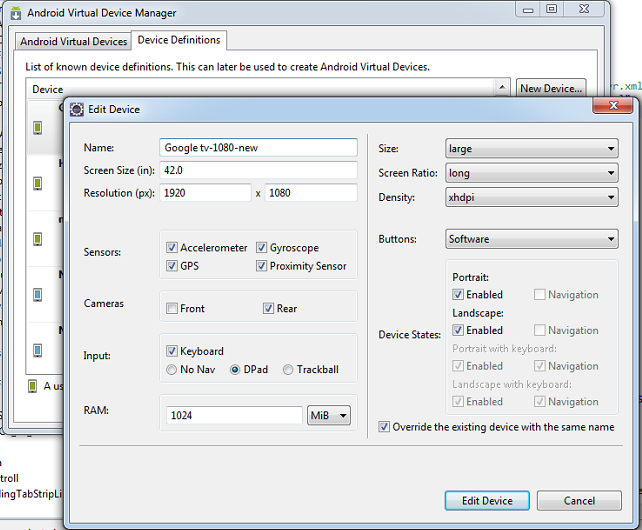 Create an "New Device"
-For 1080p use a resolution of 1920×1080 and a density of xhdpi. -For 720p use a resolution of 1080×720 with a density of tvdpi. Hope, this will helps some one.